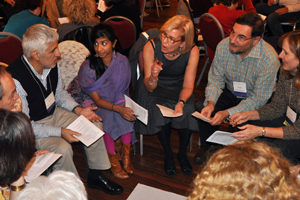 GROUP is a scholarly quarterly that publishes articles and reviews on group psychotherapy and group phenomena in general. 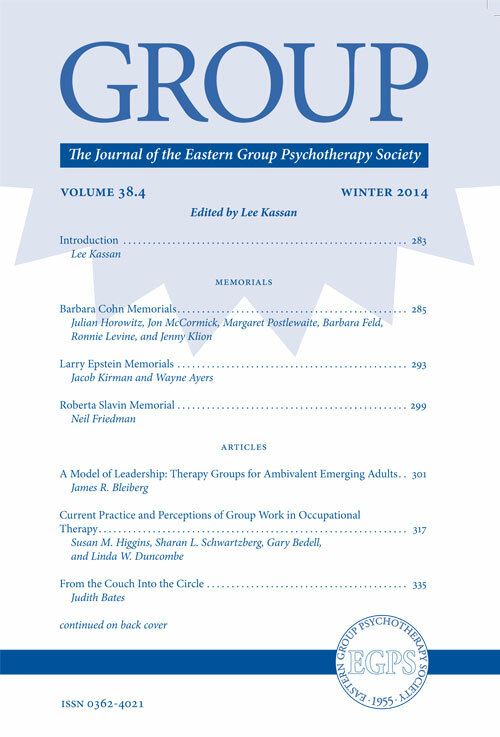 Continuously published since 1976, GROUP is the journal of the Eastern Group Psychotherapy Society, a regional affiliate of the American Group Psychotherapy Association. Although the main focus is clinical and theoretical issues in group practice and supervision, GROUP also publishes research articles with clinical relevance. The journal pursues the goal of encouraging creative thought and dissemination of knowledge about group processes in a world where group methods are used widely, with multiple theoretical orientations, contexts, purposes, and ideologies. Writing in such fields as politics, sociology, history, economics, healthcare, education, and the arts is also featured. Potential authors can consult with the Editor about any idea they may have for an article. Submitted material receives blind review by scholars and practitioners in the field who serve on the editorial board, although final decisions rest with the editor. Manuscripts are in English but may represent viewpoints from around the world. APA style is used. Queries about articles in progress and suggestions for future issues are most welcome. Email queries about book and DVD reviews to the Review editor, Brunhild Kring. EGPS members are now able to access their online subscription to GROUP directly from our website. Once logged in, a direct link to the online subscription will become available. If you are a member and would like to use this new feature, please login now.